We start with classroom teaching methods that have been moved into a technological format with little change to the overall design principles. I will argue that these are essentially old designs in new bottles. This technology, which automatically records a classroom lecture, was originally designed to enhance the classroom model by making lectures available for repeat viewings online at any time for students regularly attending classes – in other words, a form of homework or revision. Figure 4.2.1. 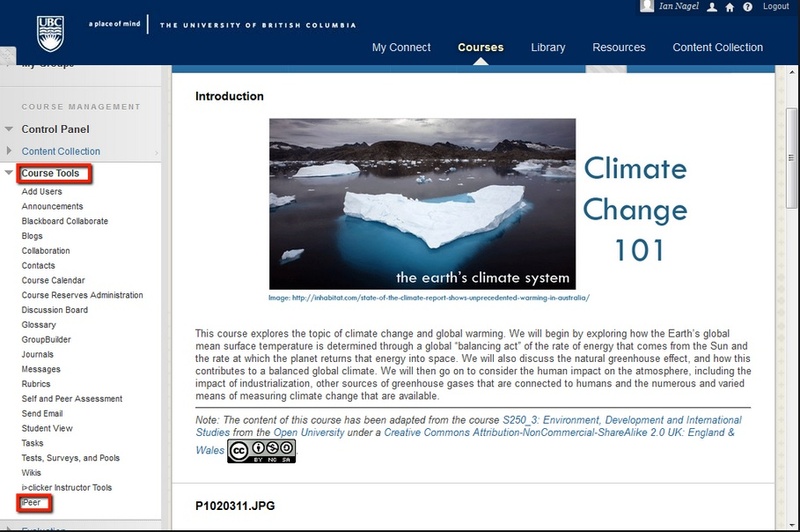 An MIT classroom lecture recorded and made available through MIT’s OpenCourseWare. Click on image to see the lecture. Flipped classrooms, which pre-record a lecture for students to watch on their own, followed by discussion in class, are an attempt to exploit more fully this potential, but the biggest impact has been the use of lecture capture for ‘instructionist’ massive open online courses (xMOOCs), such as those offered by Coursera, Udacity and edX. However, even this type of MOOC is really a basic classroom design model. The main difference with a MOOC is that the classroom is open to anyone (but then in principle so are many university lectures), and MOOCs are available to unlimited numbers at a distance. These are important differences, but the design of the teaching has not changed markedly, although increasingly lectures are recorded in smaller chunks, partly as a result of research on MOOCs. Learning management systems (LMSs) are software that enable instructors and students to log in and work within a password protected online learning environment. Most learning management systems, such as Blackboard, Desire2Learn and Moodle, are in fact used to replicate a classroom design model. They have weekly units or modules, the instructor selects and presents the material to all students in the class at the same time, a large class enrolment can be organized into smaller sections with their own instructors, there are opportunities for (online) discussion, students work through the materials at roughly the same pace, and assessment is by end-of-course tests or essays. The main design differences are that the content is primarily text based rather than oral (although increasingly video and audio are now integrated into LMSs), the online discussion is mainly asynchronous rather than synchronous, and the course content is available at any time from anywhere with an Internet connection. These are important differences from a physical classroom, and skilled teachers and instructors can modify or adapt LMSs to meet different teaching or learning requirements (as they can in physical classrooms), but the basic organizing framework of the LMS remains the same as for a physical classroom. Nevertheless, the LMS is still an advance over online designs that merely put lectures on the Internet as pre-recorded videos, or load up pdf copies of Powerpoint lecture notes, as is still the case unfortunately in many online programs. There is also enough flexibility in the design of learning management systems for them to be used in ways that break away from the traditional classroom model, which is important, as good online design should take account of the special requirements of online learners, so the design needs to be different from that of a classroom model. Old wine can still be good wine, whether the bottle is new or not. What matters is whether classroom design meets the changing needs of a digital age. However, just adding technology to the mix, or delivering the same design online, does not automatically result in meeting changing needs. It is important then to look at the design that makes the most of the educational affordances of new technologies, because unless the design changes significantly to take full advantage of the potential of the technology, the outcome is likely to be inferior to that of the physical classroom model which it is attempting to imitate. Thus even if the new technology, such as lecture capture and computer-based multiple-choice questions organised in a MOOC, result in helping more students memorise better or learn more content, for example, this may not be sufficient to meet the higher level skills needed in a digital age. The second danger of just adding new technology to the classroom design is that we may just be increasing cost, both in terms of technology and the time of instructors, without changing outcomes. The most important reason though is that students studying online are in a different learning environment or context than students learning in a classroom, and the design needs to take account of this. This will be discussed more fully in the rest of the book. Education is no exception to the phenomenon of new technologies being used at first merely to reproduce earlier design models before they find their unique potential. However, changes to the basic design model are needed if the demands of a digital age and the full potential of new technology are to be exploited in education. 1. Do you agree that the classroom design model is a product of the 19th century and needs to changed for teaching in a digital age? Or is there still enough flexibility in the classroom model for our times? 2. Do you agree that courses using LMSs are basically a classroom model delivered online, or are they a unique design model in themselves. If so, what makes them unique? 3. What are the advantages and disadvantages of breaking up a 50 minute lecture into say five 10 minute chunks for recording? Would you call this a significant design change – if so, what makes it significant? 4.2 Old wine in new bottles: classroom-type online learning by Anthony William (Tony) Bates is licensed under a Creative Commons Attribution-NonCommercial 4.0 International License, except where otherwise noted.